What is required to create something that is great (a work of art, an activity, a business)? What are the ingredients that differentiate between simply good and genuinely great? 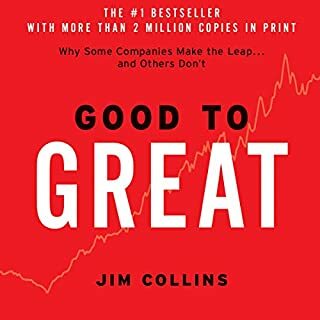 In Good to Great: Why Some Companies Make the Leap...and Others Don't, Jim Collins offers insight into what it takes to transform a business into a truly great one. 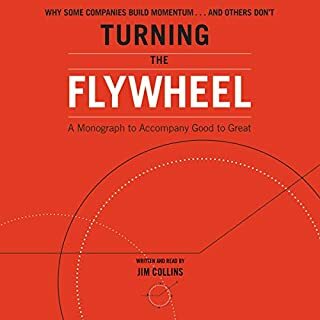 Drawing upon a six-year research project at the Stanford University Graduate School of Business, James C. Collins and Jerry I. Porras took 18 truly exceptional and long-lasting companies and studied each in direct comparison to one of its top competitors. 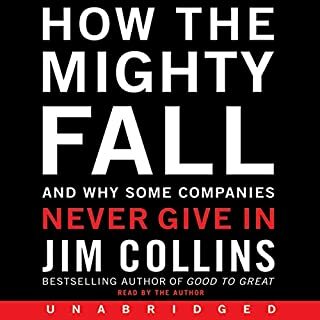 They examined the companies from their very beginnings to the present day - as start-ups, as midsize companies, and as large corporations. 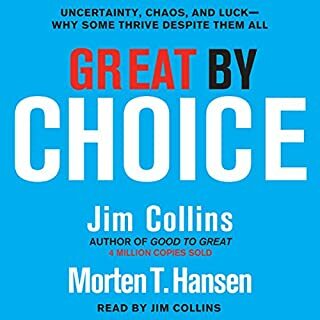 Throughout, the authors asked: "What makes the truly exceptional companies different from the comparison companies and what were the common practices these enduringly great companies followed throughout their history?" 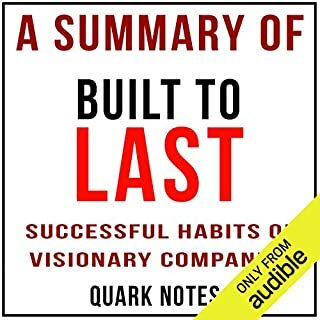 Organized into a coherent framework of practical concepts that can be applied by managers and entrepreneurs at all levels, Built to Last provides a master blueprint for building organizations that will prosper long into the 21st century and beyond. This summary is aimed at those who want to capture the gist of the book but don't have the current time to devour the full book. You get the main summary along with all of the benefits and lessons the actual book has to offer. This is a summary that is not intended to be used without reference to the original book. Good content, but the reader really needs to have a better pace. Sounds like a robot reading agains the time. Too bad because the content is good. 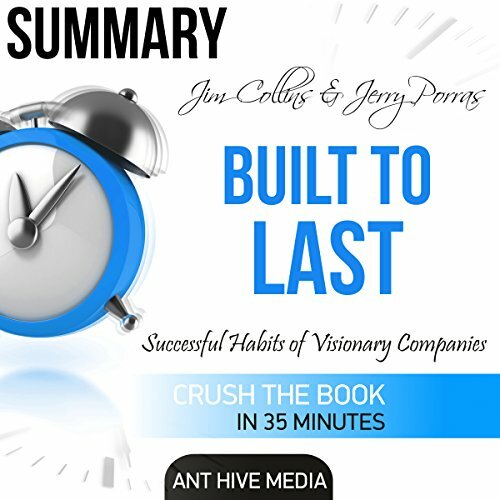 What would have made Summary Jim Collins and Jerry Porras' Built to Last: Successful Habits of Visionary Companies better? The content is fine, although probably works better in read than audible format. It is a summary of the book, not the book itself. The delivery is aweful. Computer-voice read, unnatural, difficult to listen to. What didn’t you like about Cassius Mishima’s performance? Can't be a real person. Sounds terrible. Remove this item from your listings. Feels like a rip-off. Maybe the full version of the book is good but this felt like a bunch of cliches that were too vague to do much with. The readers voice sounds like a robot. 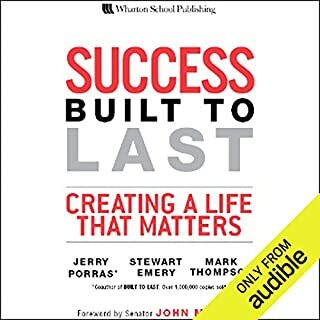 This audiobook is far and away the worst I’ve ever listened to. It sounds like the narrator recorded each word individually and then assembled the audiobook by stringing them all together. I usually listen to books at 2.5x and have very high comprehension. With this book I slowed it down to 1x and still had very little comprehension. Sounds like it was read by a 1980's computer. It was really hard to focus and pay attention. Collins is a great writer and the book contains great info but is very poorly presented. sounds almost like they used a computer generated voice that would barely pause. hard to make it through the whole thing but thankfully it's very short. Found it near to impossible to understand due to the use of an automated voice to read the text. Don't bother and buy the book.